Relegation-threatened Luton were denied by the woodwork as they were held to a 0-0 draw at Lincoln. Relegation-threatened Luton were denied by the woodwork as they were held to a goalless draw at Lincoln. 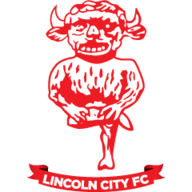 The Hatters dominated the game at Sincil Bank despite suffering an early blow when defender Lewis Emmanuel was stretchered off with a leg injury as Lincoln failed to muster a single shot on target in the opening half. 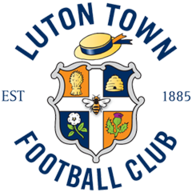 Town should have gone in front in the 40th minute when a cross from Tom Craddock set up Keith Keane from six yards out but the midfielder scuffed his shot straight at keeper Rob Burch. They came close again in the 48th minute when Lincoln failed to clear a ball into the box but George Pilkington headed against the bar. Lincoln only really threatened in the final 20 minutes, being spurred on by a lively cameo from 17-year-old substitute Andy Hutchinson. But Luton could have sneaked a win in stoppage time when Craddock got clear only to be denied by Lincoln keeper Burch. У нашей компании нужный портал про направление https://yarema.ua.